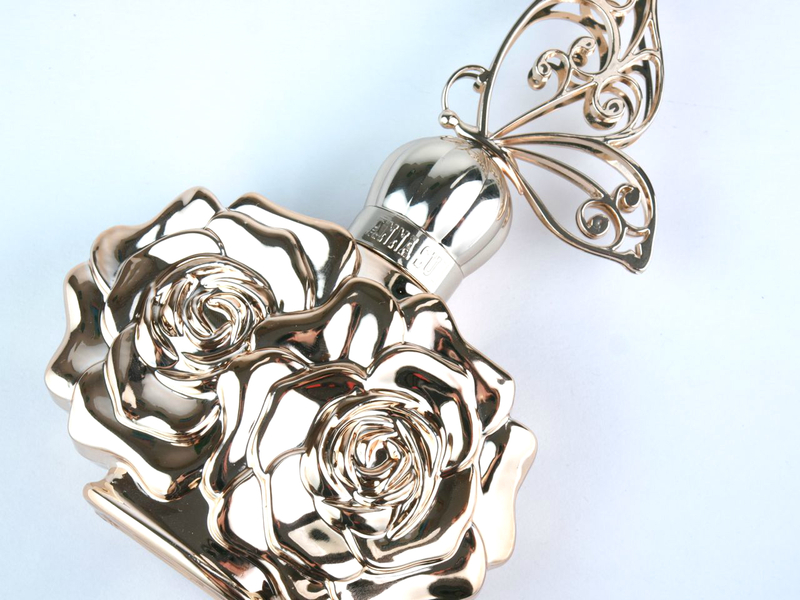 La Nuit de Boheme comes in a carved rose bottle with a delicate three dimensional butterfly perched on top of the cap. 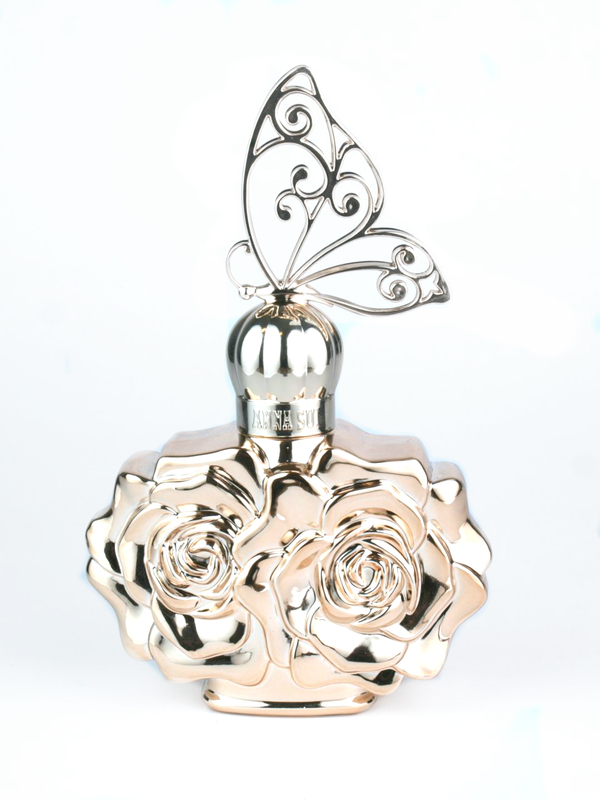 The entire bottle is coated in a rich gold chrome, making the design even more breathtaking. Like all Anna Sui packaging, this bottle is over the top but undeniably awesome, it will for sure stand out on your dresser. As the name suggests, this is a dark and seductive scent perfect for fall and winter. However, upon first whiff, La Nuit de Boheme hits you with its playful and fresh blackberry and citric notes. After the top note settles, the floral heart notes and the warm base notes become more prominent and provide a more sensual, feminine scent. The agarwood, or oud, is one of the most noticeable note; it's warm, woody, earthy and very comforting. Maybe I'm swayed by the name of the perfume, but wearing the scent makes me feel like I'm dancing around the bonfire on a hot summer night. And that's not a bad feeling to have! So all in all, if you love a woody floral scent with the most extravagant bottle, La Nuit de Boheme is your girl! 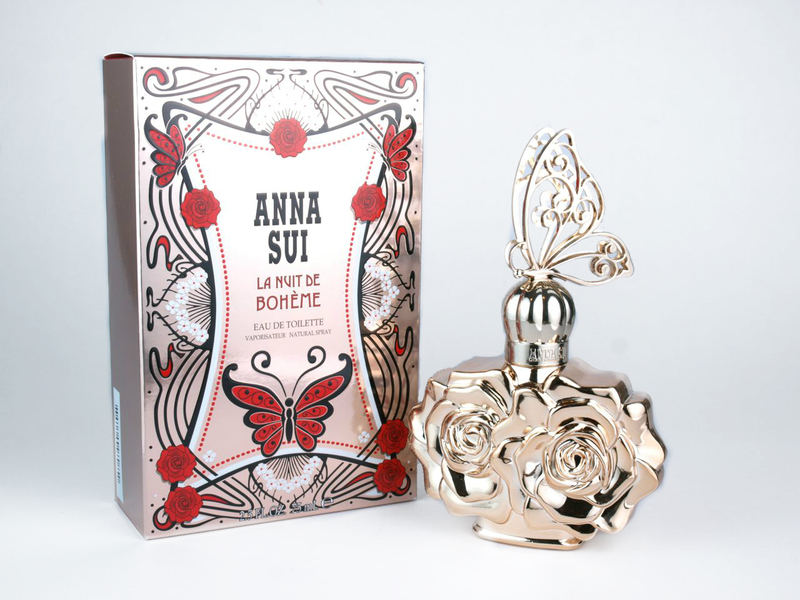 Anna Sui is available at The Bay, Shoppers, and Murale.